The Millsaps Players kicked off Family Weekend with a hilarious improv performance in the Kava House. The theater department kicked off Family Weekend on Sept. 15 with “The All Star One-Hour Family Weekend Spectacular” in the Campbell Center, known on campus as Kava House. Before entering, attendees had to write their favorite phrase on a sheet of paper, but weren’t given an idea of what it would be used for. Carlie Reeves Myers, a sophomore creative writing major summed up how she felt about Friday’s performance and performing in general. 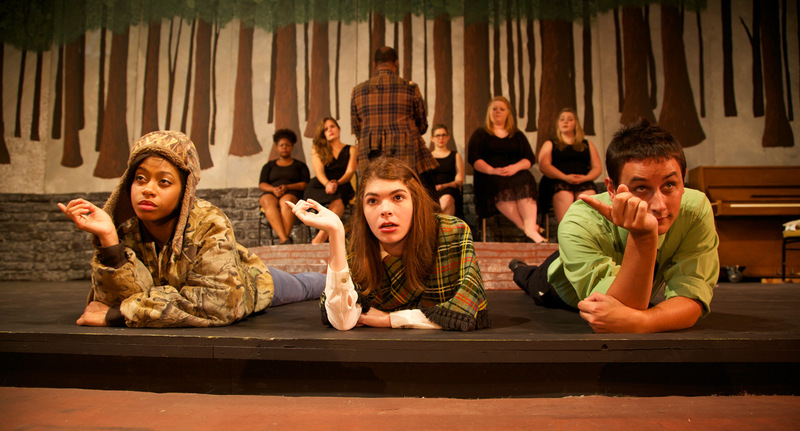 The first performance consisted of the actors portraying specific areas around campus. For example, an audience member said they wanted to see what the caf looked like on a normal day, and some of the actors clenched their stomachs and looked sick. The other various acts included a first date scenario, which is when the actors used the slips of paper that the audience members wrote on. One would ask a question and the other individual had to read whatever was on the paper. Additionally, there was a point during the show where the actors joined hands and participated in “group-thinking.” Members of the audience asked questions and each actor said one word which ultimately formed the answer to said question. One child asked, “Where do babies come from?” and the actors said, “They come from storks.” to which the audience erupted in laughter. They also acted out moments from history, like D-Day and the signing of the Declaration of Independence. However, it was much more hilarious than it was accurate. Freshman biology major Seletra Sylve enjoyed all aspects of the show, but one part really stuck out to her. “My favorite part was the improv conversation where they just picked up pieces of paper to have ideas to talk about,” she said. Millsaps’ theatre department’s next performance will be “Commedia Dell’Arte” on November 16-18 from 7:00-8:30 P.M. held in the Kava House. Other theatre shows are to be announced.